Last week, Zimbabwe’s generals took President Robert Mugabe into custody in an effective coup (though they insist on not calling it that). Days later, the country’s ruling party, the Zimbabwe African National Union – Patriotic Front (ZANU-PF), moved to expel the 93-year-old president from its ranks. But it may not have been Mugabe himself, the quintessential “big man” leader, who catalyzed this revolt, despite the ruthlessness that has characterized his nearly four-decade rule. Quite the contrary, it may have been Mugabe’s possible successor – his wife, Grace. 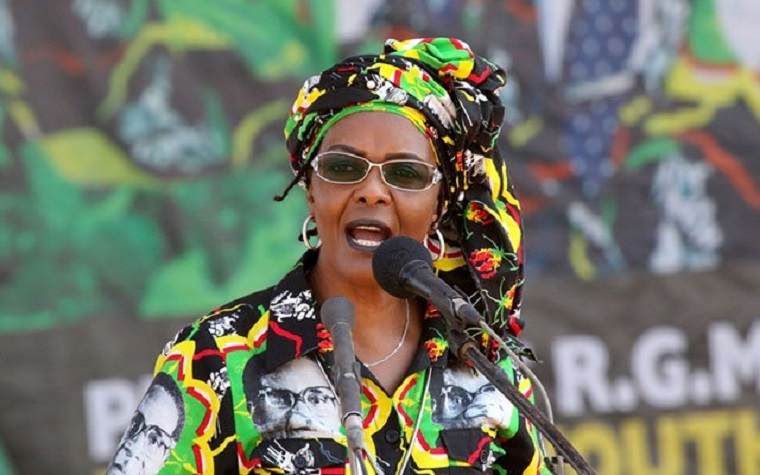 In the last couple of years, the 52-year-old Grace Mugabe has become increasingly active politically, even declaring her hope to succeed her husband. Just a week before the coup, Mugabe sacked his deputy, Emmerson Mnangagwa, to promote Grace to that position. According to new research by Theresa Schroeder of Radford University and Jonathan Powell of the University of Central Florida, female heads of state may be more likely to provoke military coups in countries where armies are powerful enough to stage them. The paper cites several examples of attempted coups against woman leaders. For example, Corazon Aquino, the first woman president of the Philippines, survived four coup attempts. Benazir Bhutto was not just Pakistan’s first woman prime minister; she was the first woman to lead a democratic government in a Muslim-majority country. In 1995, she also faced a coup attempt – which was ultimately foiled – by renegade military officers. One possible explanation for this tendency, proposed by Schroeder and Powell, is that female leaders can be viewed as direct threats to the interests of the generals, because women are more likely to favor, say, reduced military spending and less pugnacious policies. And, indeed, Aquino took a more diplomatic approach to dealing with rebels in the Philippines than her country’s military command advocated. Another reason why female leaders might be more likely to attract coups is the belief, conscious or unconscious, that a woman in charge must have obtained her post through family or marital connections. She was not actually tough enough, in other words, to get to the top on her own.